It was pretty cool being the only journalist in the world invited onto the Vancouver set of Stephen King‘s It back in 1990. At least I think I was the only one, because I haven’t seen any other articles from that time, or interviews with the cast and crew, apart fromthe ones I did for Fangoria magazine. The cool thing was that, not only could I ask star Tim Curry all about Pennywise, the evil clown he played, but also whatever else I damn well wanted to know. 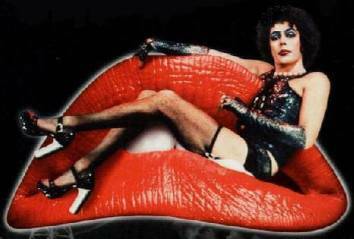 He said that he thought Rocky Horror was kind of a “one-shot deal”.